Last week, Google’s senior vice president Sundar Pichai hinted that the company is planning to release an Android SDK for smartwatches and today, Google has officially revealed ‘Android Wear’, a version of its Android operating system to work on wearable devices. Google says that a Developer Preview of its new smartwatch OS should help app developers tailor their existing notifications for watches powered by Android Wear. According to Google, Android Wear will bring aspects of Google Now, including voice control and notifications, to your wrist, with first batch of supported devices going on sale later this year. Google adds that it is currently working with companies including Asus, HTC, LG, Intel and Qualcomm to create chips and smartwatches that leverage Wear. 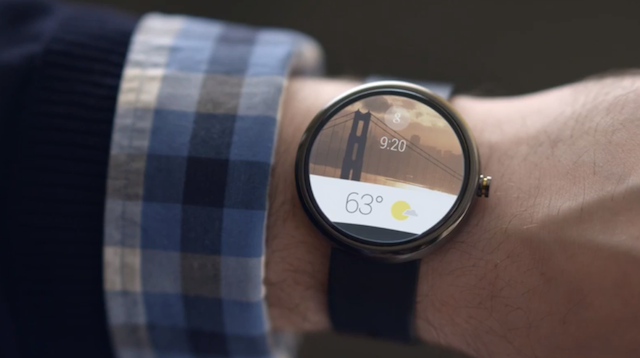 The company is also partnering with fashion brands like the Fossil Group to release watches powered by Android Wear. Straight answers to spoken questions. Just say “Ok Google” to ask questions, like how many calories are in an avocado, what time your flight leaves, and the score of the game. The ability to better monitor your health and fitness. Hit your exercise goals with reminders and fitness summaries from Android Wear. Take a look at the following promo video for Android Wear, that shows users pulling up QR code to check in for a flight, tracking activity and sending text messages through voice commands.